There are so many ways you can volunteer your time and money to homeless pets! –Many shelters partner with stores such as PETCO and PetSmart to set up temporary adoption locations on certain days of the week. They are always looking for volunteers to sit with the animals and help them find forever homes! –Volunteer at the local shelter itself! Even if you don’t have time to volunteer on a weekly basis, let the shelter know that you’re available occasionally and add your name to their email list. The animals there are always glad to have new faces come in! Walk the dogs, play with them, give your time to the kitties… Do something! — If you have children that are looking for some volunteer time, contact your local shelter! It is great for the pets and for the children! — Consider setting up a relationship with your local gas stations. Ask them if you can take any old newspapers off of their hands! This is a great way to get a lot of newspapers that rescues and shelters are in constant need of! — Ask your local grocery stores what their do with their dog and cat food that is close to the expiration date. Many places will allow for the food to be donated to rescues and shelters! Offer to be the transporter of the food to make the process easier! — Are you a web designer? Offer to help with their website, facebook page, or blog! — Are you a photographer? You don’t have to be a professional! Simply offer to take photos of adoptable pets and edit those photos their website! Most shelters and rescues these days use PetFinder.com as a great way to reach out and get their animals the publicity they deserve! Best of all, your pictures can later be used in a portfolio! *** I cannot stress the importance of having a facebook page and having your animals listed on petfinder! Social networking is what is getting these animals adopted. If your local rescue or shelter isn’t utilizing these two important tools, offer to help your services! Get those animals photographed and get them out there! — Enjoy writing? Offer to write articles for your shelter’s website or newsletter. Or you can write clever captions to describe adoptable pets for newspaper ads. The added interest helps to get the animals adopted out faster! –Enjoy being crafty? These Do It Yourself ideas are fun, easy and can entertain both you and the pets that you are making the gifts for! — One easy and VERY helpful thing you can do for rescues and shelters is to offer to transport for them. Transporting is when you drive an animal (or several) from one place to another. Sometimes rescues ask for help driving animals to the vet and back, other times the transports are MUCH longer. Personally, this is one of my favorite ways to help. It is a way of bringing animals that were at risk of euthanasia to areas where they are more adoptable. Often, the transports last for two days (with an overnight) and volunteers step up for specific “legs” of the route. These legs are usually around two hours, although volunteers can take as many legs as they would like. If you love animals and want to help, this may be the perfect way for you! You are saving a life simply by driving your car AND you get to spend a few hours with an amazing animal. What could be better than that? One of the BEST transports I have been a part of was bringing a lost dog from Minnesota to Texas. Read more about that here. Have room in your house? FOSTER!! –Every rescue organization and shelter is constantly looking for new fosters! By opening your home to one or two new animals, you are helping to change their lives forever! You are giving them the extra time they need to find that perfect home! Donate food and items for your shelter’s wish list. —Although it is hard to say what they need without contacting them, these is a very easy list! When you’re buying food for your pet, why not pick up some an extra bag for the shelter animals? When items such as kitty litter, canned food, treats or toys go on sale- pick up some items for the animals at the shelter! Shelters are always in need of blankets, sheets, food, cleaning wipes, bleach, old newspapers, garbage bags, and paper towels. — When you are cleaning out your house, donate old sheets and blankets! Also, find out if there’s a second-hand / thrift store in your area! — Gift cards are always asked for too! That way the shelter can purchase items that are needed! Make cash donations and donations “in honor of” and “in memory of”. — For the Holidays or birthdays, ask friends to give you gift cards “from their pets” to give to animals that are in need. — Have a little extra money this paycheck? Send it to the shelter that you adopted your pet from! Let them know how thankful you are! Be a for the voiceless! 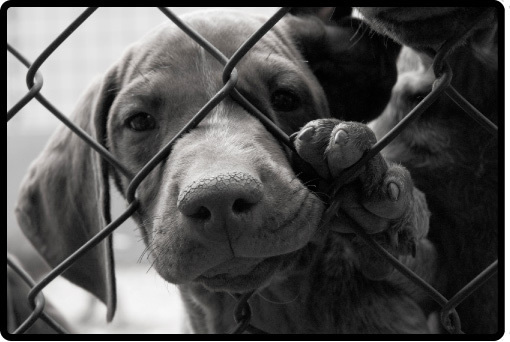 –Speak up to your friends and family about the shelter you are helping! The animals could ALWAYS use their own personal cheerleader! Always make sure that you are donating to a cause that is worth it. While some shelters/rescues are “kill shelters”, many are not! Personally, when I am sending out my donations, I make sure that the money is always going to the animals and not to something else. Mindi, organizations like ours are lucky to have you supporting our efforts. All three of the organizations you listed are volunteer based, which means that 100% of the donation of any kind goes directly towards the animals in their care. The misconception that volunteers are not professional is simply false. The directors of all three of these groups are professional Animal Welfare Directors by any and all definitions that exist. They not only know the proper care for animals, but the animal welfare laws as well. They are state licensed and reputable organizations that deserve the public’s attention and support. They all facilitate rural Iowa and often times receive the “leftovers” from the larger organizations who pick and choose what they want to keep and/or refuse entry or kill. They spend thousands of dollars on vet care to give an animal a second chance where most organizations would either turn the animal away or kill it. The public needs to understand that until they support those who truly are working towards improving the industry through education and by leading by example, animals will continue to be victims and injustice will continue to prevail. Please support those organizations that help the discards. Without them, the faces you see on their screens would be killed! Great information for people, Mindi. I wanted to add that even saving old blankets, towels, etc.. can help out shelters too so it doesn’t always take money and everything no matter how big or small is always appreciated and shelter animals get enjoyment and comfort out of it all.